Songs from the 80’s that changed the way we live today. The art of music is one of the most appreciated and celebrated arts in the world. It is unimaginable to live without music for the centuries gone and in the 21st century as well.The 1980’s,one of the most decorated with hit songs, there was significant changes of culture ,lifestyle and our own perceptions about music and life. Here are a handful of those history making ‘Thrillers’ of that era. The list is endless but at best this are the ground breakers and definers of the short golden decade. The iconic album still holds the world record of the album with most sales. It revolutionized the pop music and by extension the music industry as whole. It changed music videos culture and bottle-neck themes and gave way for horror content in arts. Several horror movie director took refuge in the reception of Jackson’s album. The song ‘Beat it’ broke the racial barrier which was a ‘Berlin wall’ separating the white and black artist. The racist tag was broken and black artists like Rick James among others took that opportunity to impress.It also influenced the notorious South Central gangs in Los Angeles to consider peace ,he offered in the song, and crime decreased immensely. The song is credited for exposing the gang life and promoting peace which we enjoy up to date. 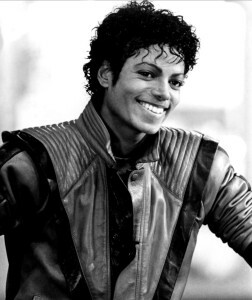 Billie Jean of 1983 brought a huge change in the way productions are done. It introduced high-tech production together with the art of dancing of a different level.Michael’s own trademark, Break dance, became like a cult and many of modern production focuses on dance moves deriving their originality from it. After its release the fashion industry went viral with change to adapt to the reference created by Madonna, the then every girls’ idol. There was introduction of tighter trousers,fake eyelashes, more make up, outlandish outfit and clothes showing some skin. It was followed closely by the influence of rock stars, ‘It was two’ The 1988 rock sensational song by Rob Base and DJ EZ Rock brought the torn jeans fashion as well as leather pants and males keeping long hair. c) David Hassenholf (1989) ‘Looking for Freedom’. By his own words,the song was one of the key catalysts in growth of democracy in Eastward and eventual unification of Germany by destroying of the Berlin wall. d) Jemaine Sterwart (1986) ‘We don’t have to take our clothes off’. The heartfelt soul song is instrumental in how the perception and awareness of HIV/ AIDS has changed. Jemaine himself was a victim of the deadly disease and took the front seat to influence his fans to take action to curb the spread of the rife. It was observed that even well known individuals like Donnie Simpson admitted, from the message in the song, there was no need for anyone to indulge in drug abuse to cut AIDS victims numbers.